I’ve been wanting to write an article about the book Photorealistic Rendering Using SolidWorks and Photoview 360 for almost a year now. Between that time and now, I’ve become employed by SolidWorks, which makes writing reviews about SolidWorks related products somewhat self-serving. As such, I’m not going to do a full length detailed review. That being said, it is a great guide to learn the ins-and-outs of making photorealistic images from SolidWorks. One of the main consultants for this book is Rob Rodriguez, infamous for his photorendering skills. The book’s approach to the subject is refreshing, in that it is written from the perspective of a photographer. Topics include basic elements, such a lighting, to more complex visualization settings for illumination. Also discussed are OpenGL, RealView, Surface Finishes, hardware, performance, scenes, decals, user interface, display states, configurations, mapping, output options, etc, etc. It does include a DVD-ROM! It’s a great guide with a lot of detailed images as it takes you step-by-step through the process of creating photorealistic images with SolidWorks and Photoview 360. 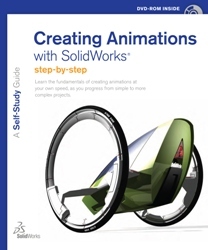 The book is available in the SolidWorks Store. It is also now available from Amazon.com (image link above is via Amazon.com). SolidWorks 2010 No Experience Required (“SW2010-NER”) is a new book by Alex R. Ruiz that takes a detailed approach to teaching SolidWorks to new users. Though the book is structured as a tutorial, it is also a reliable reference guide to fundamental aspects of SolidWorks. Ruiz provided me with one copy of his book for the purpose of this review. This review is my own content without input of others. For experienced 3D CAD users, much of SolidWorks user interface and functionality is intuitive, but that doesn’t mean that it shouldn’t be covered in a book designed for new users. SW2010-NER takes a detailed approach to learning SolidWorks. It is so detailed that even some experienced users may learn something by browsing its pages. 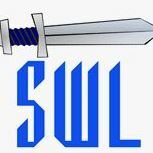 Where the SolidWorks Help file tends to take a spartan approach to describing SolidWorks functions, SW2010-NER gives more detail that provides context. It does a good job of linking related ideas together in a logical manner. For example, the FeatureManager (one of the primary user interface areas) is frequently discussed in the context of its use within each particular area. This helps the reader gain real understanding of its value as they perform certain tasks. As SW2010-NER addresses each topic, it thoroughly covers every detail of the choices presented to the reader. This gives the reader a clear understanding as to why they choose one option over the other within the tutorial tasks. This adds significant value to this book as an actual reference guide. The reader learns more than just how to go through a simple step-by-step process for one exercise. They learn how to use SolidWorks for any design project. SW2010-NER is 17 chapters. It starts out by covering every detail of the user interface in chapter 1, including customization techniques. Chapter 2 covers many practical aspects of how to interact with SolidWorks. Chapters 3 through 6 cover the fundamentals to create parts, drawings and assemblies. This provides a solid foundation for the use of SolidWorks in the real world. This is were this books shines. The reader learns how to create different types of documents and how those documents interact. In the SolidWorks Help file, functions are described as separate entries. In SW2010-NER, the tutorial brings all the functionality together in a way that provides context to the reader. This gives the reader a stronger understanding of what they are doing. This should allow the reader to use that knowledge for any other projects. Chapters 7 through 10 cover the advanced interaction. It goes into creating assembly drawings, more complex modelling techniques and editing documents once they are complete. Chapters 11 and 12 are entitled “Putting It All Together”. These chapters go into advanced functions such as Design Library, advanced mates, flexible assemblies, BOMs within assemblies, and exploded assembly views. Chapter 13 then carries on by taking the reader through the process of creating a top level assembly drawing. Chapter 14 covers an area that is often forgotten about in other training sources. It is entitled “Sharing Your Documents with Others”; it discusses how to provide your drawings and models to others who may not have SolidWorks or may require your information in a separate form. Chapters 15 and 16 cover the often confusing topic of document templates and sheet formats, their definitions and how to create them. These chapters also provide tips to improve efficiency with highly automated templates. Chapter 17 covers how to make your product look good on the computer with PhotoView 360 (included with SolidWorks). SW2010-NER is a widely published book that is available from any book store that covers CAD topics. It is available on Amazon.com, currently for under US$30. The files for the book’s tutorials are available from Sybex. This book does an excellent job of covering necessary elements to use SolidWorks to create 3D models, drawing and assemblies. It takes such a detailed approach in describing each area, some experienced users may even be able to use this book as a general reference guide. However, sometimes the detail may be too much in the context of a tutorial. For example, chapter 1 teaches the reader about the SolidWorks user interface, but it also provides information on how to customize that interface. Perhaps a chapter on editing the user interface might be better at some later point in the book (or even in another book)? Even still, this book is a great source to learn SolidWorks for new users. Academia might find this book very useful in their 3D CAD courses. It certainly wouldn’t hurt to have this book available in any company that often hires people that may not be completely familiar with SolidWorks. This book is not for advanced or expert SolidWorks users. CAD managers should not buy this book thinking they will learn something new. It is an education tool for new users, and a reference guide for others.